Our Pet Memorial Garden Stake is a beautiful memorial accent to any yard or garden, our personalized garden stakes and garden markers are a unique way to mark that special tree, rosebush, or pet memorial. Includes FREE Personalization. 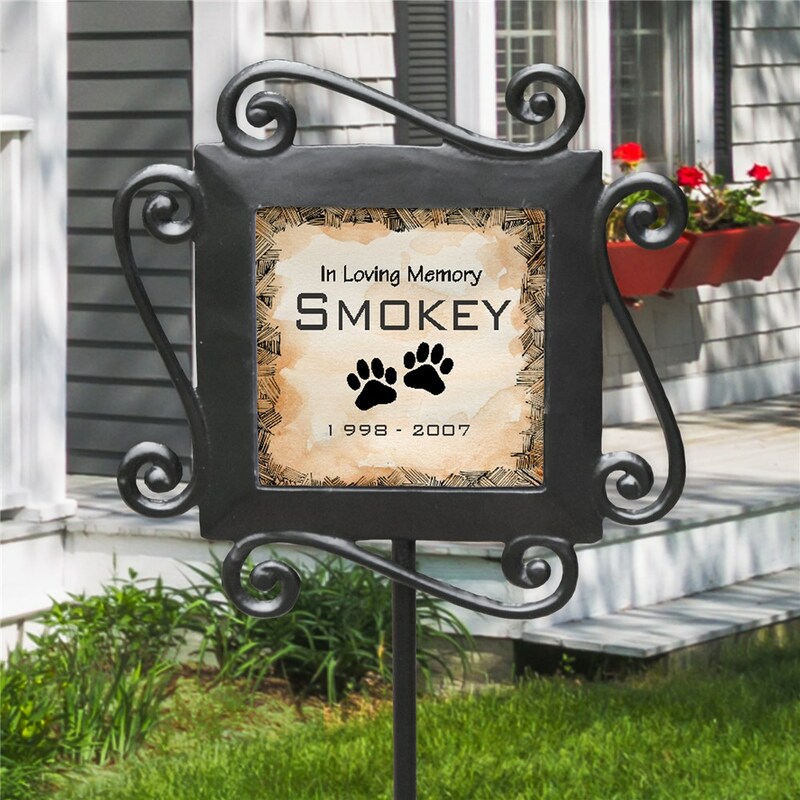 Personalize your Pet Memorial Garden Stake with any pet's name and dates. Loved it! Such a great gift for someone mourning the loss of a loved one! Fast shipping and good quality. I'm very pleased with how this turned out. We just put it into the garden yesterday with our kitties' ashes. Hopefully it will do okay in a Chicago winter. Additional Details Find more personalized memorial gifts, including personalized pet memorial gifts, at GiftsForYouNow.